One of these such contributions manifested through a terrible loss during Ali’s fight against the darling of the military industrial complex — Joe Frasier. 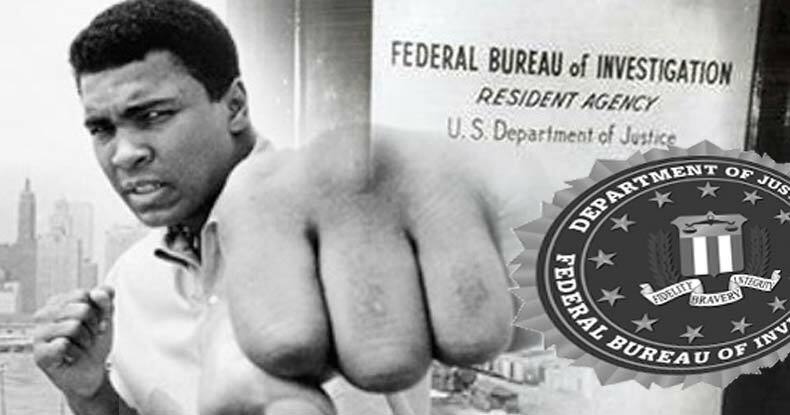 Although Ali would take one of the worst beatings of his career, his fight provided cover for a burglary that would expose the FBI’s secret spying, murder plots, and COINTELPRO that would change the world forever. The noise from the fight would provide cover to the burglars as they broke into the office to expose the FBI’s heinous crimes. The group of eight activists would successfully expose the illegal spying operations of J. Edgar Hoover and how citizens across America were subject to the FBI’s black ops — including Martin Luther King, Jr. The group took every file in the office, and this cache would eventually lead to major congressional investigations and reform within the United States intelligence apparatus. The distraction of the fight helped the burglars, who called themselves the Citizens Committee to Investigate the FBI, walk away with more than 1,000 documents, including one that revealed the FBI’s secret COINTELPRO operations. These operations involved a panoply of dirty tricks that ranged from planting disinformation about antiwar activists, to planning the murder of a member of the Black Panthers, and sending innocent people to prison on the basis of false testimony by agents and informers. The day after the fight, Ali, being the gentleman he was, made the following statement discounting the loss of a boxing match and noting the importance of everything else.